The tears won’t stop. It keeps flowing like a stream. The heart hurts. It’s like a wound that won’t heal. Am waiting for you my love. The girl child of my womb. They violently stole our baby girls. To a place of abuse, torture and death. I see your face in my heart. I hear your laughter, music in my ears. Please bring home our angels! 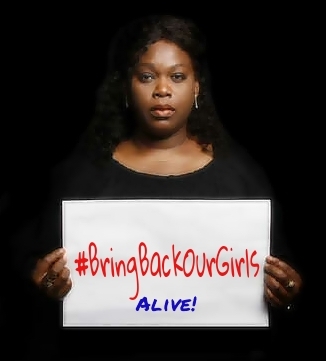 Please bring back our girls!